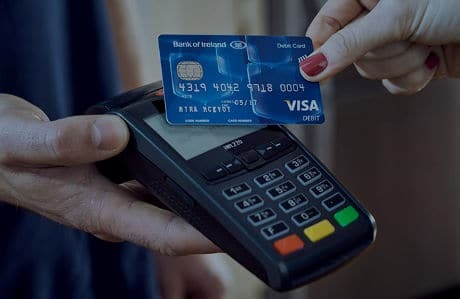 More than half of Irish debit and credit card owners (54%) are using contactless payments when purchasing goods and services, research released by payment technology provider BOI Payment Acceptance (BOIPA) reveals, with the average contactless payment standing at €11.33 (US$12.44). 57% use contactless payments at least once a week with 45% of users making contactless transactions a few times a week or more. The top five items purchased using contactless payments in Ireland are food and groceries (75%), fuel (23%), alcohol (21%), clothes and shoes (21%) and newspapers and magazines (17%). Time is seen as the biggest advantage of using contactless payment, with 58% saying it was quick. Other advantages cited in the survey of 1,000 consumers included safety, lower bank charges and the convenience of not having to carry cash or go to an ATM. 42% of consumers would like to see the €30 (US$33) limit increased. However, 45% of those surveyed were unable to correctly identify the current limit at all. One in three respondents were unaware of what the contactless symbol on their payment card represented. 38% also claimed to not have contactless payment ability on their card, while 28% never think to use it. “There are over 3m contactless debit or credit cards in Ireland and usage is growing rapidly,” says Brian Cleary, general manager of BOI Payment Acceptance. “Despite almost 40% of those surveyed claiming not to carry a contactless card, in reality, approximately 90% of all debit cards in Ireland are now contactless. In the US, we have contactless using mobiles. Some of US still contactless magnetic stripe cards. In Europe, consumers have contactless EMV cards. Not only do we not have those in the US, the EMV implementation that we do have is slow and inconvenient. One can only wonder why we do not have contactless EMV. We are the ugly stepchildren of the payment card industry (soon to be called the retail payment industry (RPI).